Extended Full Day (8:00 AM - 6:00PM), Full Day (9:00 AM - 3:20 PM). All options available 2-5 days per week. Our Toddler Class is a nurturing, stimulating environment where little ones can learn to explore multiple sights, sounds and textures. Toddlers learn best when they feel secure. At Lolly’s we focus on establishing strong relationships with caregivers, giving children the unique opportunity to explore the world at their own pace in a safe setting. Teachers will establish close relationships with families in order to tap into the unique developmental needs of each toddler. 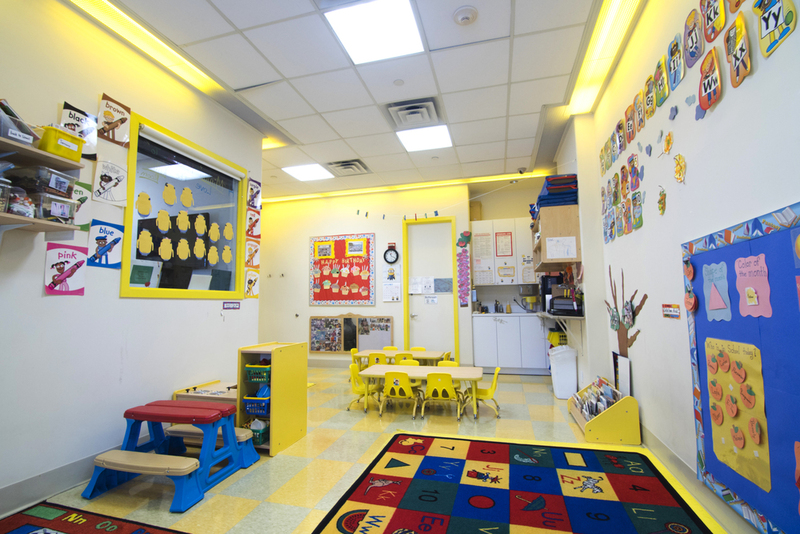 Enhancing socialization skills, using our “words” and helping the little ones feel nurtured and loved are the main learning components of this room. Children partake in group and individual activities. Classroom materials and manipulatives have been strategically chosen for their design and quality and when coupled with water play, sand play, song, musical instruments, and dance, our toddlers are given a beautiful growing and learning experience. Teachers help our little learners come out of their shells and start to explore their world.